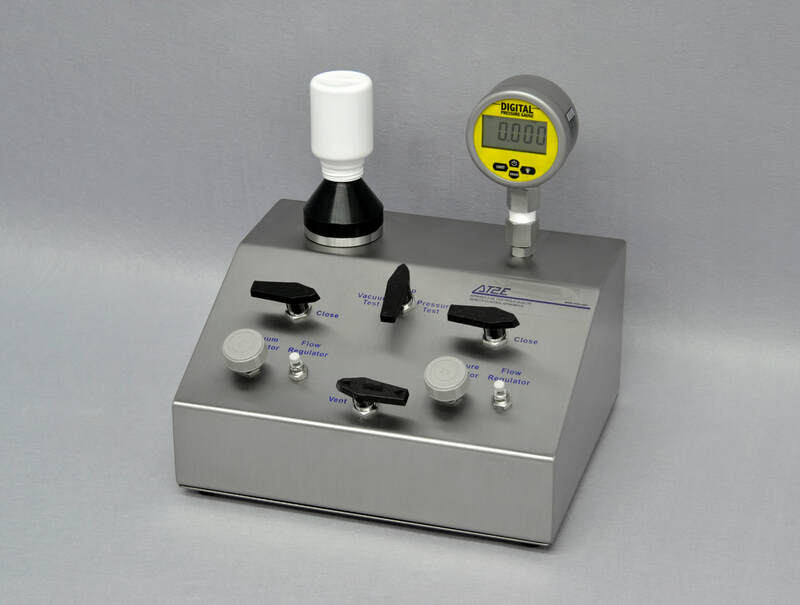 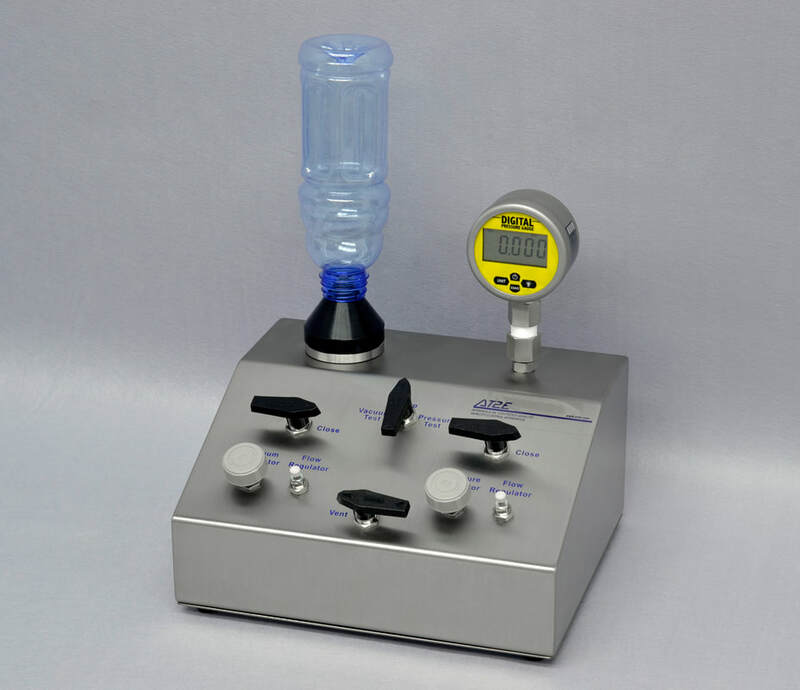 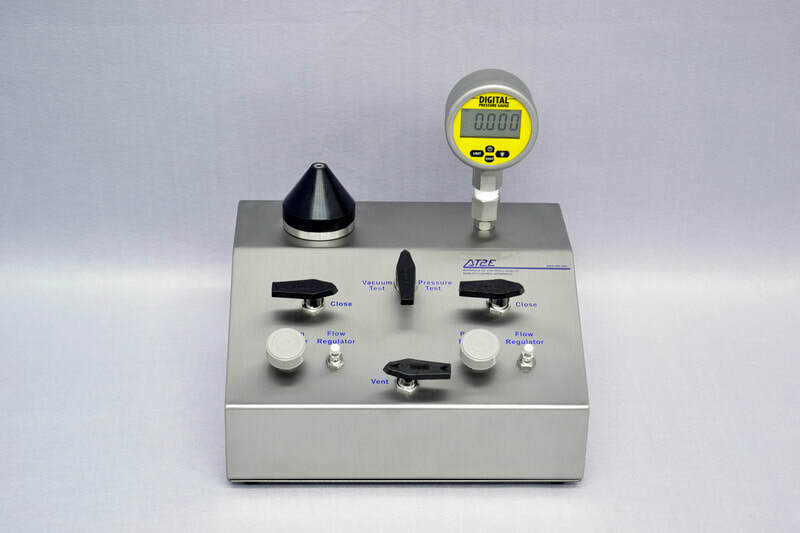 BVPT-1 | Bottle Vacuum-Pressure Tester - AT2E - USA | Quality control apparatus for packaging and beverage, food, pharmaceutical, cosmetic and other industries. accurate and easy reading. 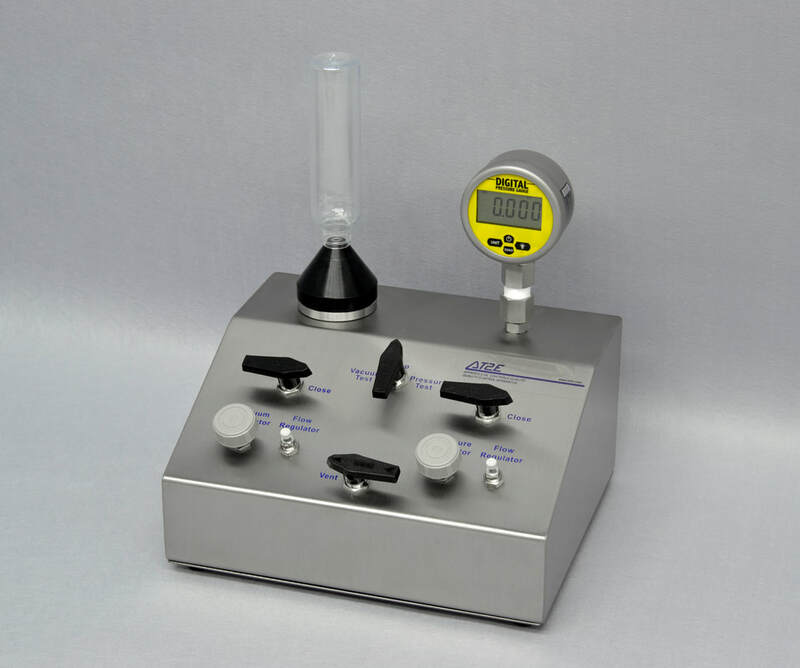 Vacuum level is adjustable by knob.